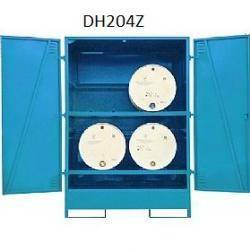 A range of fully welded vertical steel drum stores for use outside or where secure , dry storage is of importance. 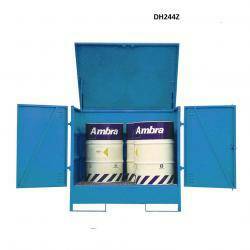 This range is compliant with Oil Storage Regulations ( England ) 2001. All units have with 3 point locking doors for maximum security ( 1 Drum Units - Single Door , 2 and 4 Drum Units - Double). Please note: a forklift will be required to unload these units.